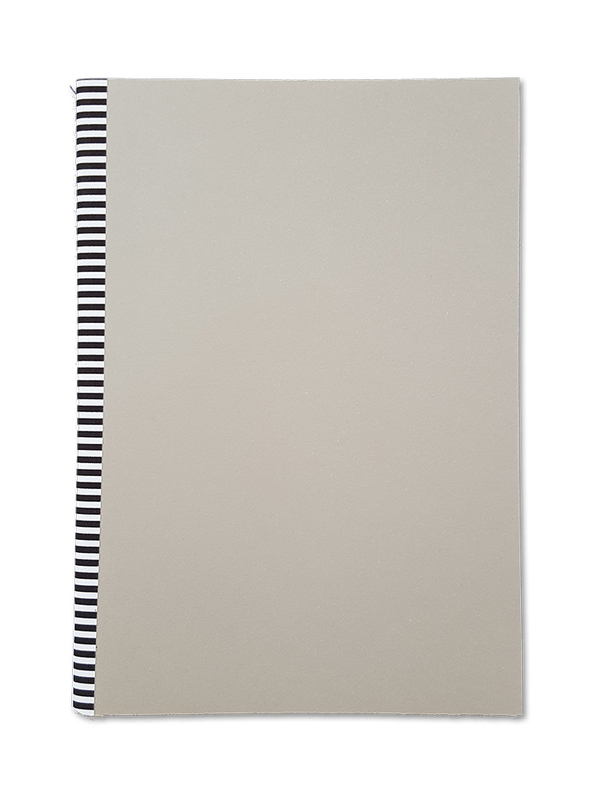 Notebook with a grey cover. Stitched bound with black and white fabric spine. 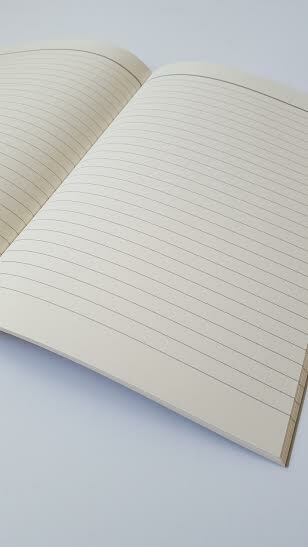 Write your ideas and thoughts in this lined notebook.